Young Thug escapes charges in his nightclub assault incident from last month. This marks the second legal win over the past few weeks for the Atlanta rapper who has been dealing with legal troubles all over the place. Last month, a female accused Young Thug of slapping her in the face outside a Palace nightclub in Atlanta. The female is one of his former employees Valerie Raven, aka Akbar V, who had an argument with Thugger’s fiance. She filed a police report claiming that the rapper stepped in when things got heated and hit her in her face. Law enforcement officials presented the case to a judge who threw it out for lack of evidence, TMZ reported. There was no video footage and no one said they witness the rapper putting hands on the lady. 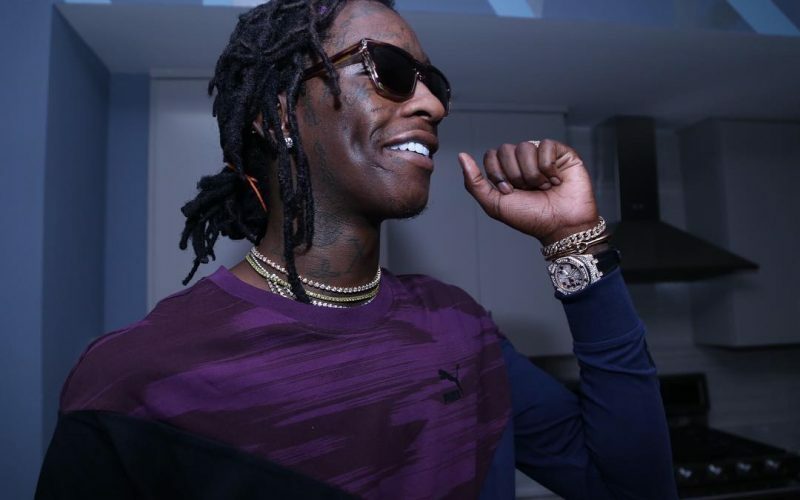 Just last week, another judge dismissed another case involving Young Thug stemming from an arrest at his home in 2015 where cops found guns and drugs inside his house. The case was dismissed due to improper search documents, giving the rapper another win.